Kannan has grown up playing the most popular game in India: cricket. He loves to watch cricket games, even in the middle of the night. Like every other sport, cricket has rules and regulations that one must follow to play the gentleman's game. The popularity of the sport has increased over the years and many countries like China and the USA are preparing to venture into international competition. Television ratings and stadium attendance have been increasing and advertisers are willing to heavily invest in cricket. Many people play just for fun, while many others dream of becoming professionals. Whatever your reason is, knowing all the rules and regulations will help make you a better player. 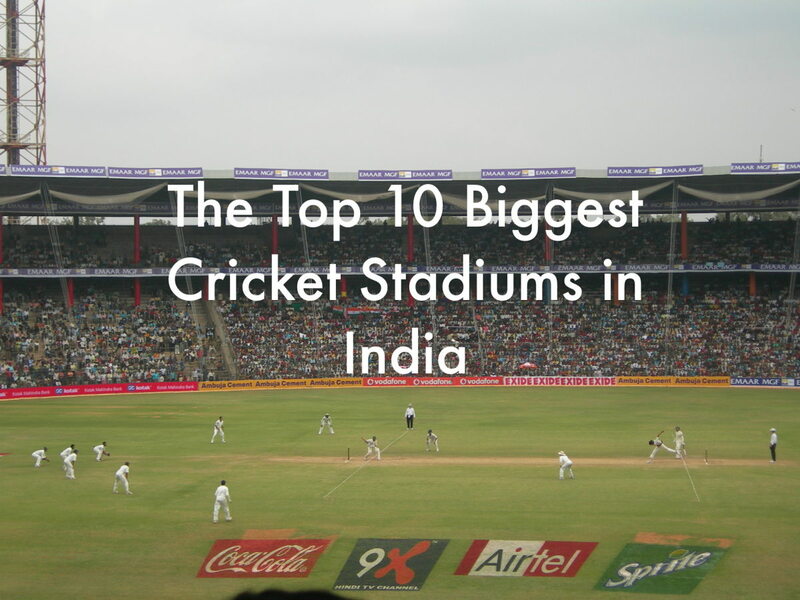 This article will give you all the details about the various rules of cricket. ICC (International Cricket Council) recognizes three forms of cricket. They are Test cricket, One Day Internationals (ODI), and Twenty-20 (T20 cricket.) Generally, the rules apply to all the formats with the exception of an exclusive rule or two for each one. 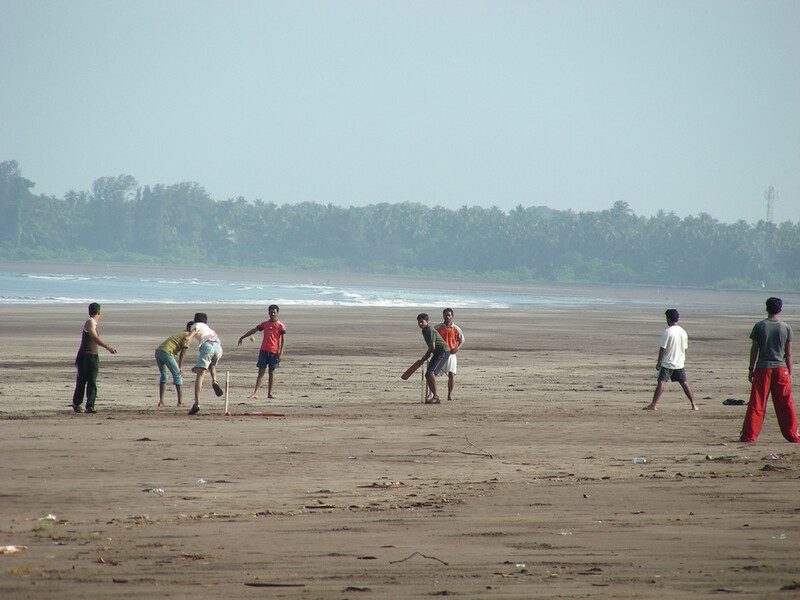 Essentially, the game of cricket involves two teams who attempt to score runs. The team with the most runs is the winner. International cricket matches have eleven players on each team. The game can also be played with fewer players, say about six on a team, with prior agreement from both teams. The eleven players will include a captain and a vice-captain in the team. The captain of the team is responsible for making all the decisions that take place on the field. A vice-captain serves as a backup if the captain gets injured or is not fit to play on the day of the match. Every match will have two field umpires, a TV umpire, and a fourth umpire as a reserve. The field umpires will make most of the calls while the TV umpire will step in for disputes that require video assistance. Players are not allowed to argue the decisions that are made by the umpires. The ICC usually bans and/or fines the players who argue with the umpires. The toss decides which team will bat or field first, depending on the choice of the winner. A coin is tossed in the presence of the match umpire between the two captains and the winner notify their opponent about their starting position of choice. Fielding is when a team plays to prevent the batting team from scoring. Here are some terms. Overs: An over is a set of six bowls thrown. In a Test match, a team can potentially bowl over 90 overs in a day's play. In One Day Internationals and T20 formats, each team has to bowl 50 overs and 20 overs respectively. 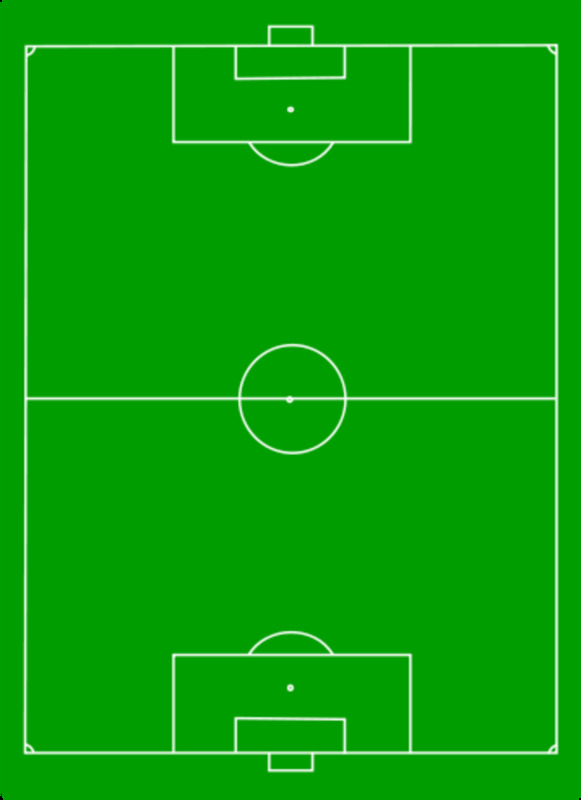 Runs: A run is the basic unit of scoring. Runs can be single (one run), two runs, three runs, four runs, and six runs. If there is no overthrow, a maximum of six runs can be scored in a ball. 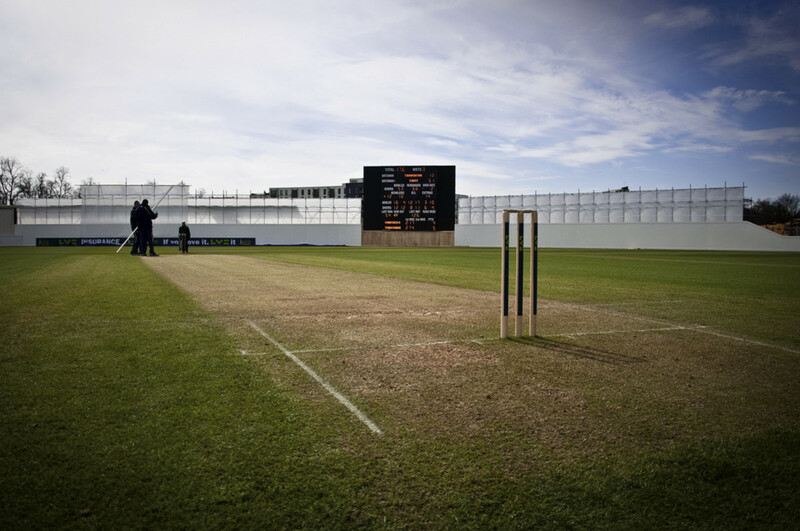 Four: Four runs are awarded to the batting team if the ball touches or passes the boundary rope of the ground. Six: Six runs are awarded to the batting team if the ball passes the boundary rope of the ground without bouncing. Overthrow: An overthrow is an extra run scored by a batsman in lieu of the ball not being collected by a fielder at the pitch. Any runs already scored are also being counted. 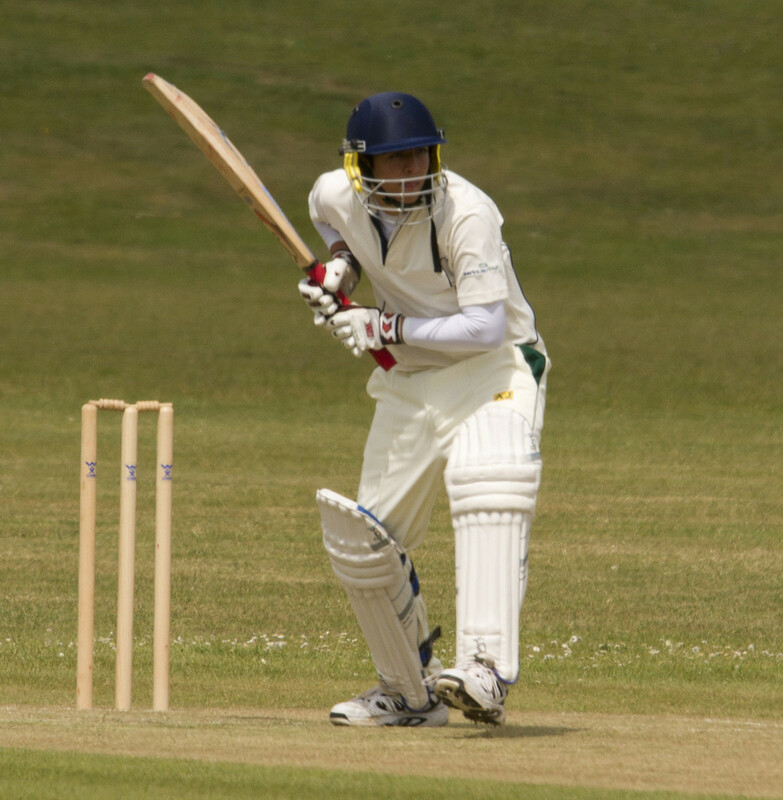 Short Run: A run is called short by the umpire if the batsman does not complete his run. If a batsman is found to be deliberately attempting to run short then a 5 run penalty is imposed. Also, if either of the batsmen is not in possession of their bat, then the run is called short. The bat must be in the hands of the player. A match will have at least have two innings. An innings is completed when ten players are out or the overs in the innings are finished. In Test cricket, each team will have to play two innings. Also, in Test matches, a captain can declare an innings over if he believes that the situation of the match is in his teams favor. The cricket pitch is the field where the game is played. The pitch is 22 yards long and 3 meters wide. The middle of the pitch is a protected area where the bowler must avoid running. This is because running in the protected area will damage the pitch area where the ball bounces, making it difficult to bat. A bowler is given two warnings for running. Afterwards, he is refrained from bowling any further in the innings. The batting team will send two of their batsmen to score runs. Losing a wicket will require having to send another batsman until the team is all out. 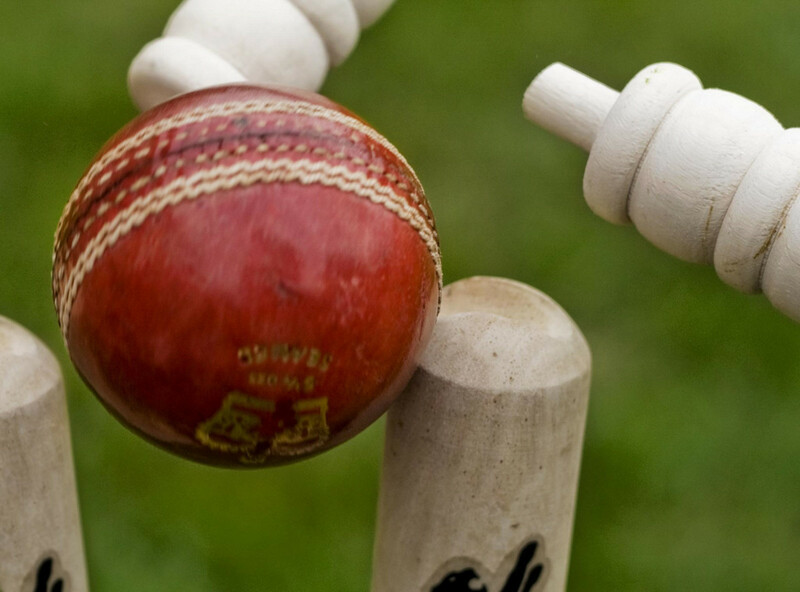 Bowled Out: If a bowler's delivery hits the stump and dislodges the bails completely, then the batsman is bowled out. At least one of the bails should be dislodged completely. Caught Out: If the ball hits the bat or the glove and the ball is caught by any fielder, then the batsman is dismissed. Run Out: This call happens when the bails on the stumps are dislodged by the fielding team while the batsman is completing a run. Timed Out: This is pretty rare. If the next batsman in the line does not get ready for the delivery within 3 minutes of the previous batsman, he is given a call of timed out. This has never happened in international cricket. Stumped: A batsman is stumped out if he steps past his crease and the wicket keeper dislodges the bails. Leg Before Wicket or LBW: The umpire makes this call when he feels that a ball would have hit a stump if it had not been blocked by the batsman body, typically the leg. One thing to keep in mind here is that the ball should not be pitched outside the line of the leg stump. Hit Wicket: A batsman is called for a hit wicket if he dislodges his stumps with his bat or body. The bowling team will have to bowl and field. They will have the objective of preventing the batting team from scoring. In One Day Internationals, a bowler is allowed to bowl only ten overs. In the Twenty-20 format, the bowler is allowed no more than four overs. There is no limit in Test cricket. A bowler cannot bowl two consecutive overs at a time. No ball is a kind of illegal delivery by the bowler. 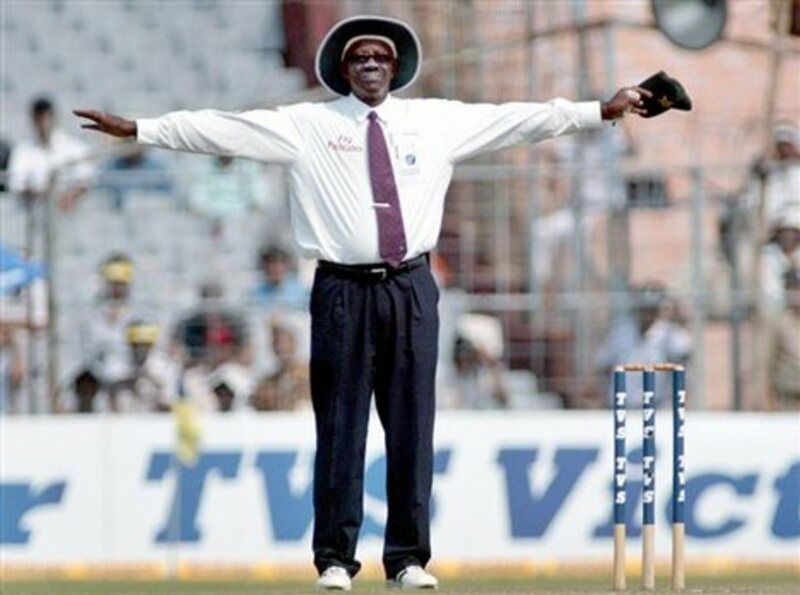 The umpire calls the no ball by holding one arm out horizontally. This is called when the bowler throws with some part of his front foot beyond the crease. If called for this, they would have to bowl another delivery as the ball would not count in the over and one extra run is also added in the batting team's score. The batsman cannot be given an out on a no ball except in the form of a run out. There are many other reasons for which a ball can be called a no ball but stepping beyond the crease is the most common. In One Day Internationals and T20 cricket, a free hit is also awarded. If the bowler bowls the ball too wide from the batsman, then the ball is called a wide ball. The umpire signals this by stretching both hands out horizontally. The ball is not counted as a legitimate delivery and an extra run is awarded to the batting team. Leg byes are awarded when the batsman is hit by the ball and they have completed a run. The runs are added up to the teams total but not in the batsman's total. 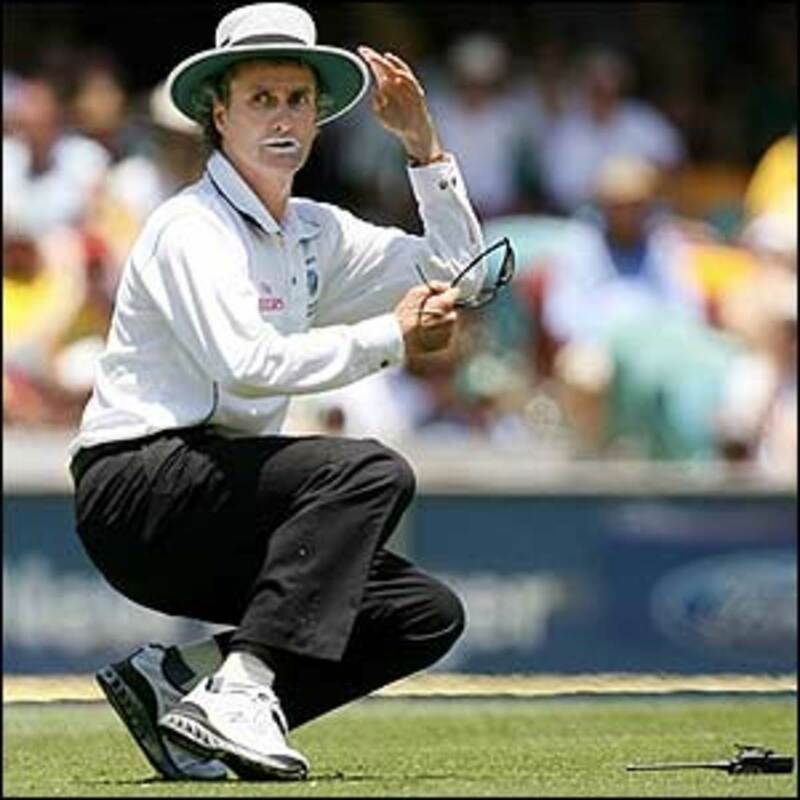 Umpires signal a leg bye with a hand touching their raised knee. Similarly, a bye is a run scored by the batsman when the ball has not been touched by any part of their body and they have completed a run. There are two other conditions for byes and how the runs are calculated. If the ball was a no ball and any byes are scored, then they are recorded in the scorecard as no balls rather than byes. If the ball was a wide ball and any byes are scored, they are recorded in the scorecard as wides, not byes. The umpire signals byes by raising his arm into a vertical position, the palm of his hand open to differentiate between a bye and an out. This point applies to all forms of cricket. Only two fielders are allowed between the position of square leg and long stop. For One Day Internationals, the first ten overs only allow a maximum of 2 fielders to be outside the 30 yard circle (30 yards are measured from the center of the pitch and the area outside the 30 yard circle is known as outfield while the area inside the circle is known as infield.) After 10 overs, the concept of powerplay comes into play. For Twenty-20 internationals, there is a restriction of two fielders outside the 30 yard circle for the first six overs. In all forms of cricket, a maximum of five fielders can be outside the circle in the rest of the innings. 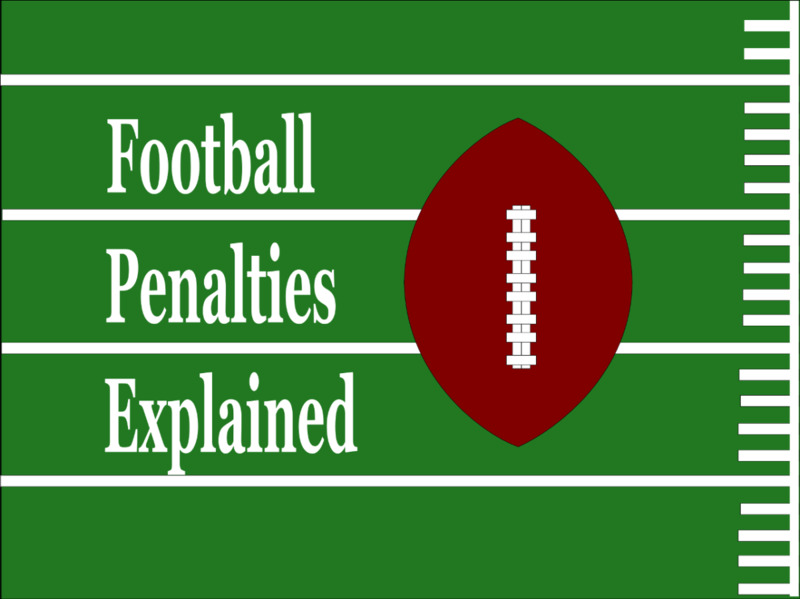 Powerplays are field restrictions that are applied in the One Day Internationals. Powerplay One: For the first ten overs, only two players are allowed to field outside the 30 yard circle. Powerplay Two: Between overs 11 and 40, there can be a maximum of 4 fielders. Powerplay Three: In the final 10 overs, there can be a maximum of 5 fielders. 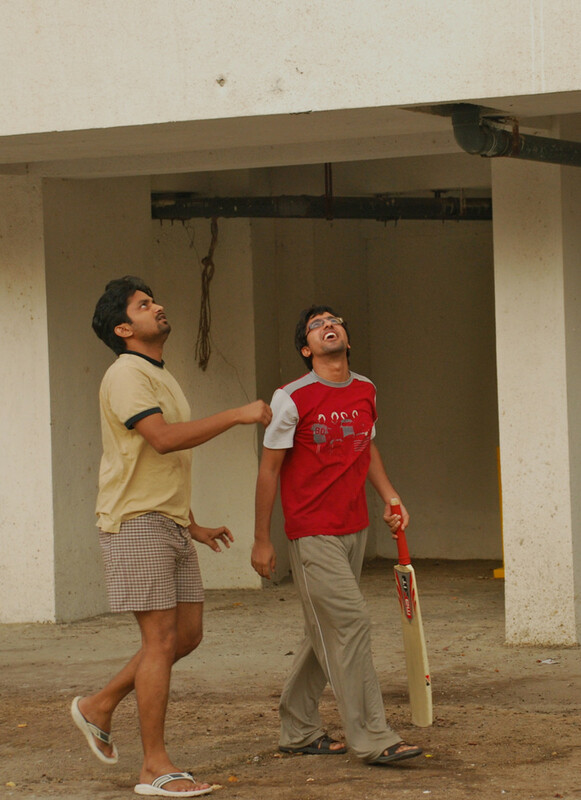 An appeal is when the fielding team appeals to the umpire for a wicket. Unless the team appeals, the umpire cannot give his decision. An appeal is generally called in the form of "How's That." Win: If a team exceeds the runs made by the other team, then they win the game. 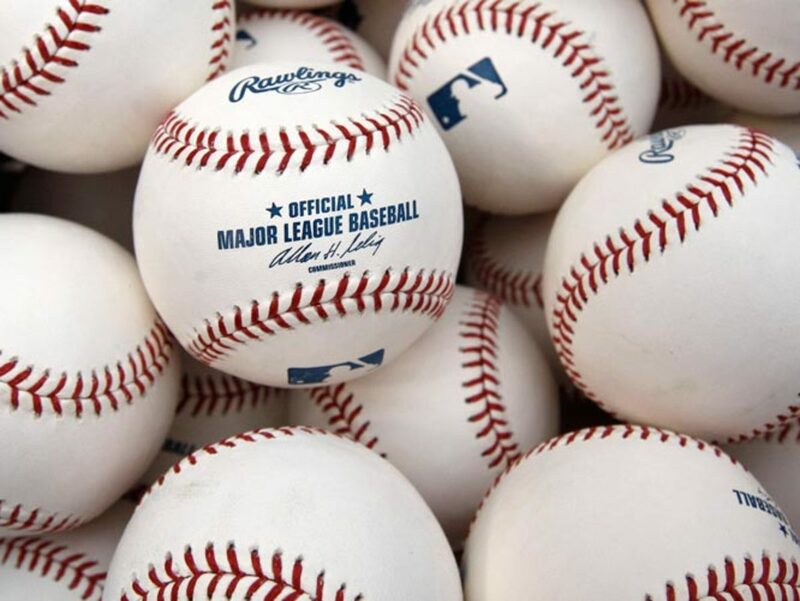 Tie: A game is tied when the last ball is delivered and the runs made by both teams are equal. Draw: This only applies to Test matches. This situation occurs when neither of the teams are in a position to win the game. There are many more rules in the game of cricket, but these are the most important to keep in mind. Is there is any stump out in a no-ball delivery? No, the batsman is not given out. No-ball is an invalid delivery hence it cannot be ruled as out. To many people, it is confusing to see that a batsman can be given run out but not stumped. That seems a legitimate point, but if you closely examine the scenario, then the rules are correct. The account of dismissal is given to the bowler when the batsman is out bowled, caught, hit-wicket, and stumped. If the credit is given to the bowler then how can the credit be given on a no-ball which in itself is an invalid delivery? The credit of the run-out is given to the fielder. Is there any runout in no-ball delivery in cricket? Yes, the batsman is given out even if the ball is called a no-ball. The credit of this dismissal goes to the fielder who assisted in the run out. The rule of thumb here is for any dismissal that the bowler is given credit is not allowed in a run out. For example, caught or bowled etc. folw the rules n win the match ! @qmfaisal In some instances the boundary rope is pulled in so that it's a high-scoring game. I'm just curious if there is difference in the field size for T20s and ODI/Tests. Because in IPL or Big Bash, it just seems that the grounds are a bit smaller. @Ruchira Thank for your comment. I did read your article when you published it in reply for WTI. Must say you covered it so nicely. Btw I addressed the same sport but giving details for children above 5 to play. Wow! you almost summed up everything about cricket for a newbie. Cricket rules are very vast and takes a long time to understand and best to be learned while playing or watching it.